PICOL stands for PIctorial COmmunication Language and is a project to find a standard and reduced sign system for electronic communication. PICOL is free to use and open to alter. With the PICOL Icon Generator you can dynamically create your custom PICOL icons. You are free to choose your favorite icons and choose your size, color and badge. The PICOL Icon Font enables you to easily use the PICOL Icons as vector icons on your website via CSS or in your favorite Desktop-Publishing Tool. 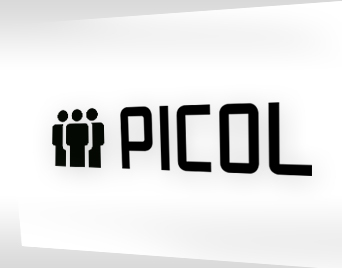 PICOL is a project to find a standard and reduced sign system for electronic communication. PICOL is free to use and open to alter. Great works using the PICOL icons. The icons are used on Websites, Apps, Animation & many more applications.